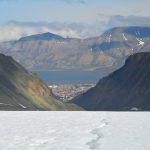 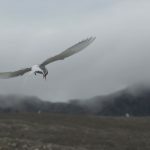 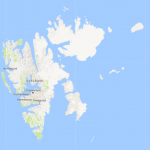 Half year ago we bought plane tickets to Svalbard archipelago. Our trip starts tomorrow, hence in the last few days, I was trying to select appropriate clothing and gear. The weather forecast says that we should expect the temperatures between 8 and -1 deg C.
Below is the list of items that I’ve packed into my main backpack and carry on luggage. 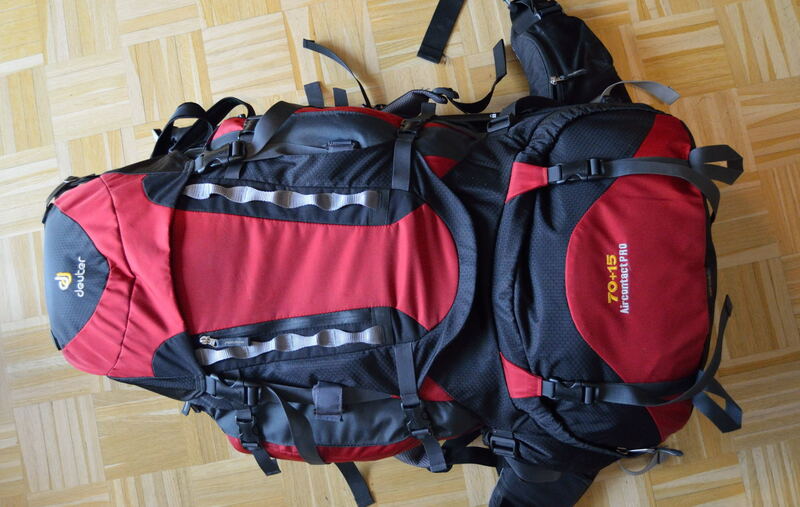 As the main backpack, I will use Deuter Aircontact Pro 75+15. The bottom compartment will contain a Marmot Wave III sleeping bag, a backpack liner, a piece of warm wool underwear, and a set of synthetic briefs. 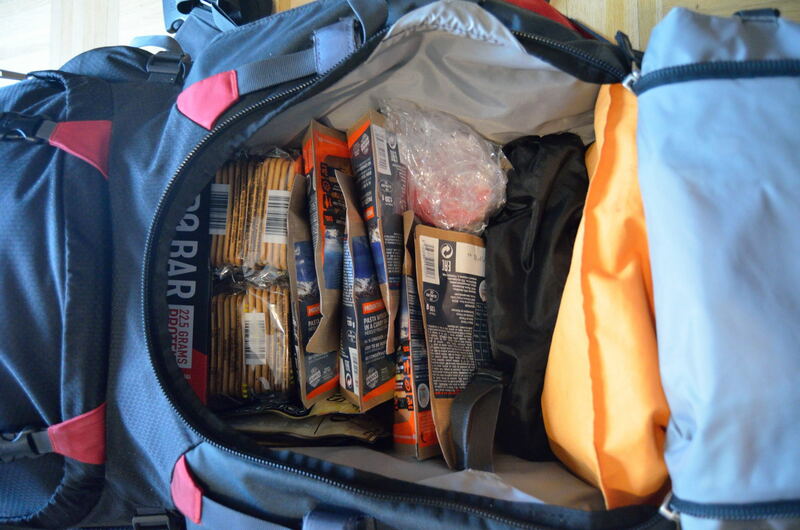 The main compartment is mostly filled with food. 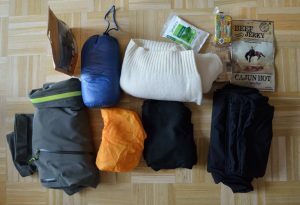 I have packed 18 bags of beef jerky (50g per bag), 18 protein bars, 6 lyophilized meals, 14 packs of Polish “special” crackers, a peanut butter, and finally two 300g packs of oatmeal. 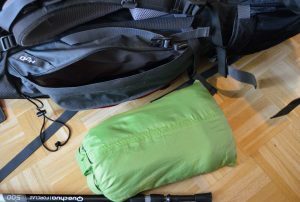 In addition to the mentioned food, the main compartment contains a small tripod, a thermal bottle, a softshell jacket, a pair of light shoes, a dry sack and a Kelty Oriole Lumbar Pack. 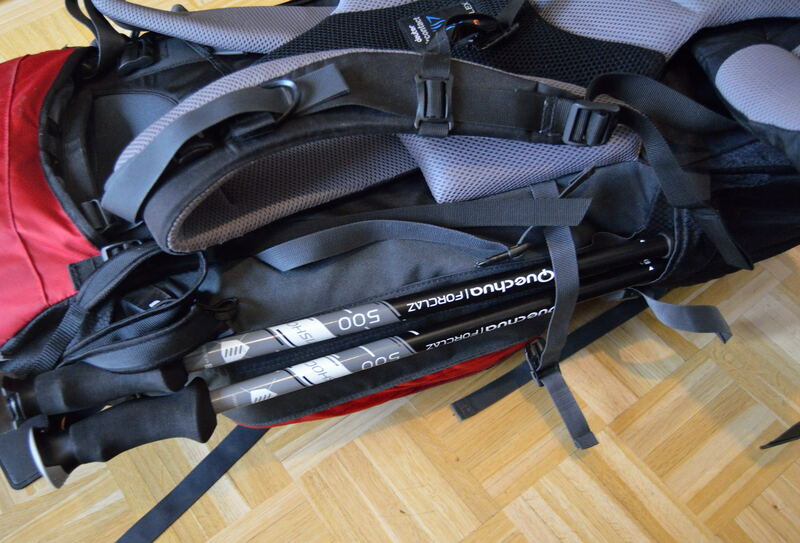 The last one will be used to carry my photography equipment during the hikes. 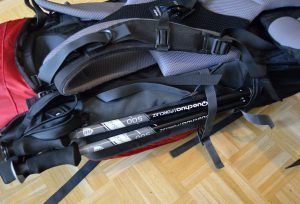 On the right side of the backpack, I’ve mounted a set of hiking poles. 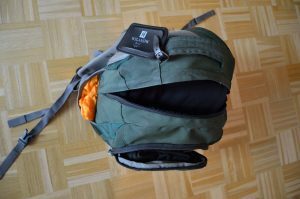 I’ve also put a set of spare lightweight rain jacket and rain pants in the small pocket on the other side of the backpack. 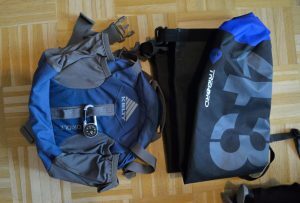 The main side pockets contain a set of synthetic sports t-shirts, a set of warm socks (both wool and synthetic), and a pair of warm tights. 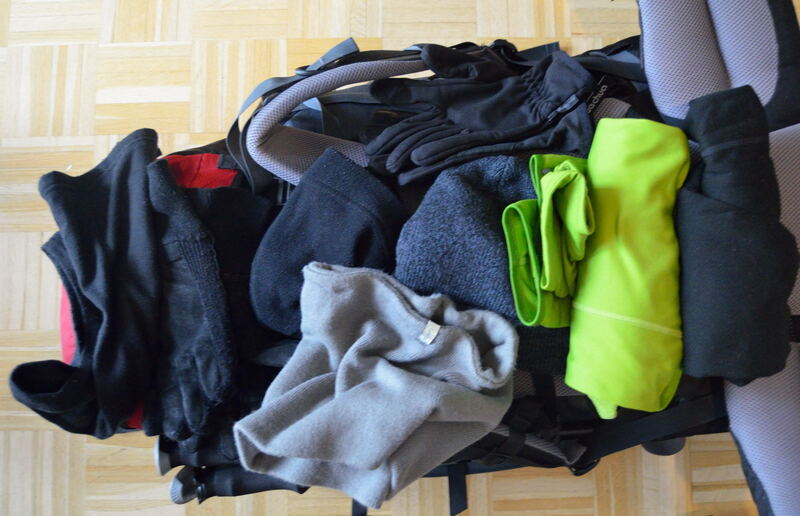 The top compartment contains two sets of gloves, two caps, a polar sweater and a long sleeved base layer top (merino blend produced by Helly Hansen). Additionally, I’ve also put a battery charger for my Nikon camera in this pocket. 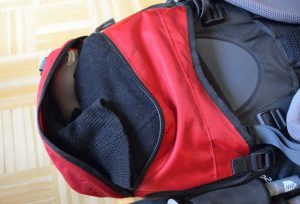 The bottom pocket (of backpack’s top) contains a towel and some bags of tea. 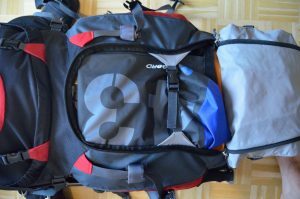 The carry on luggage (a small city backpack) will be mainly used for transporting my photography equipment (excluding tripod). 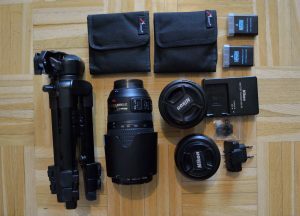 The gear includes a Nikon d5100 camera, a kit lens, two prime lenses and a telephoto lens. 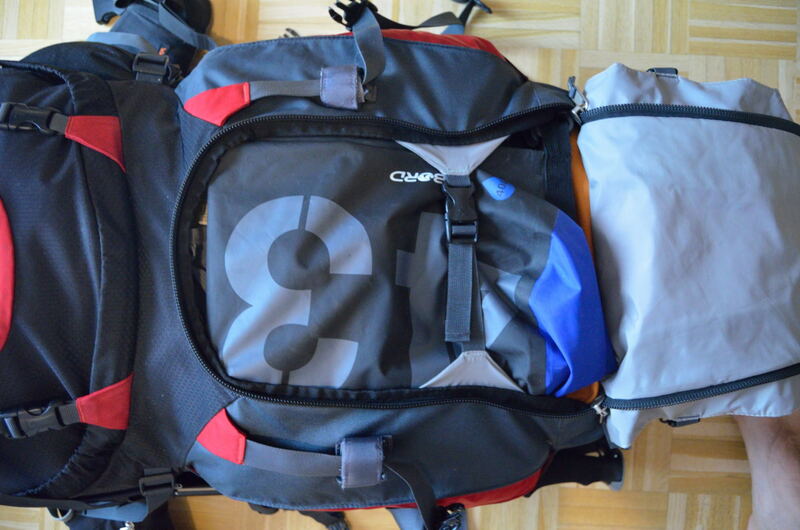 I have also packed two spare batteries, two sets of neutral density filters and a waterproof point-and-shoot camera. In addition to photography gear, this small pack will contain some snacks (one lyophilized meal, and two: packs of beef jerky, crakers, and a protein bar). Finally to protect the gear, and to prepare myself for colder weather, I’ve packed a rain jacket, a wool sweater, pants and a feather filled vest. 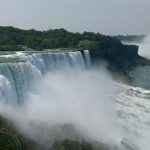 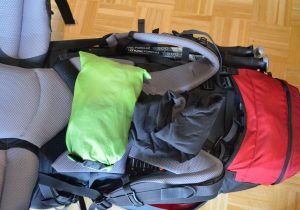 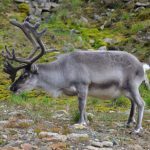 After writing this post, I realized that I should pack few additional items. 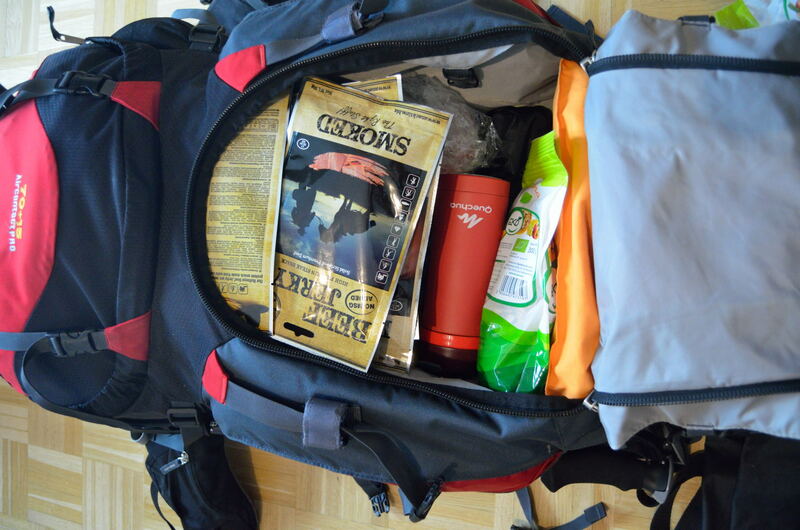 These items included a small bag of toiletries, a cup and spoon, a sunglasses, and flip flops. 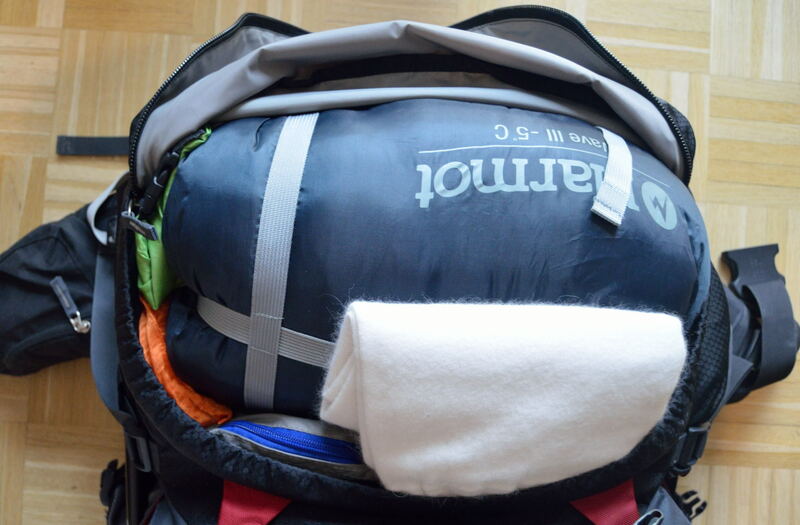 The second pair of rain pants was also added to the main luggage.